Creating diverse spaces that you will want to languish indefinitely in is what we deliver. 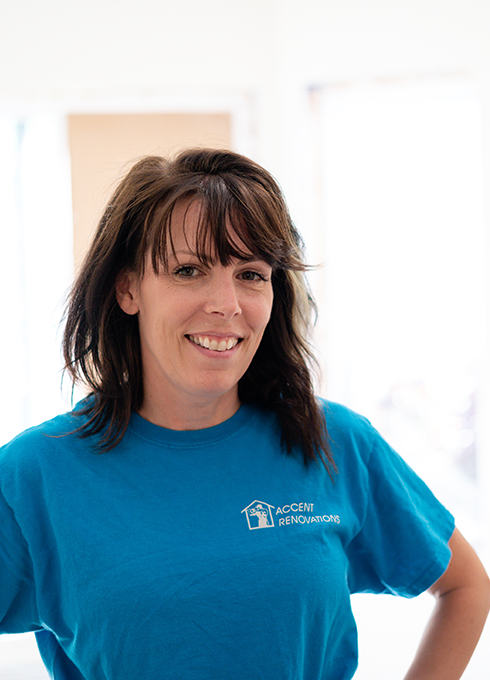 Accent Renovations in Kelowna creatively customizes the spaces your family craves. 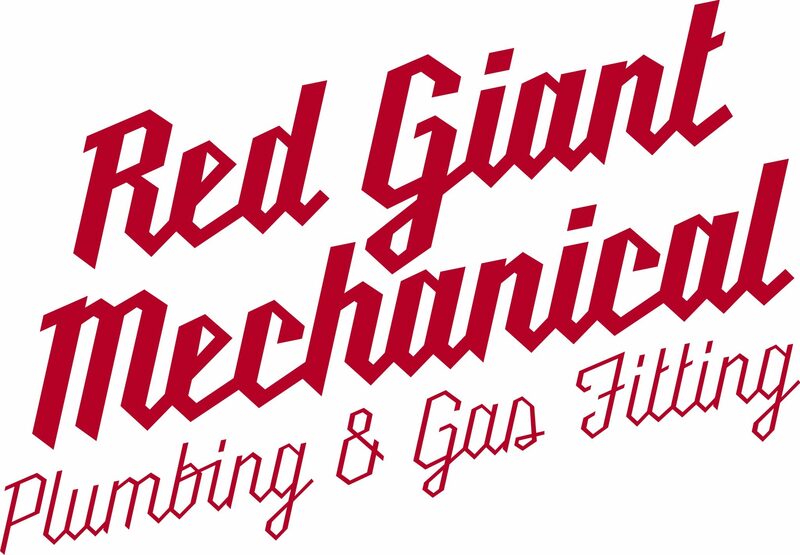 Our experienced and committed crew of industry experts works with you from design to install. We thrive on making dreams regarding kitchens, bathrooms, living spaces and commercial, come true throughout the Okanagan Valley. As builders with a global conscious, we actively reduce, reuse and recycle. Refurbished and repurposed materials are hallmarks within our designs. We consistently donate items to the Habitat for Humanity ReStore as standard practice. Professional, trustworthy and passionate, our Award-Winning team combines intuitive design with deluxe craftsmanship. Supporting the local economy and preserving our environment are forefront with every project. 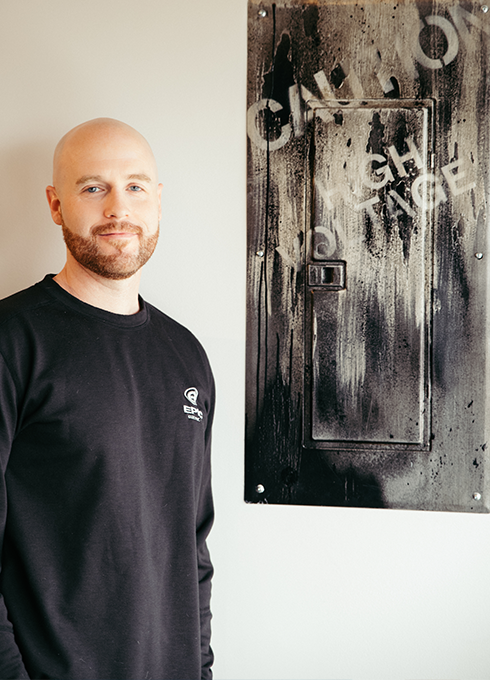 As proud members of the CHBA for the Central Okanagan, we know all the intricacies involved in with every successful renovation. 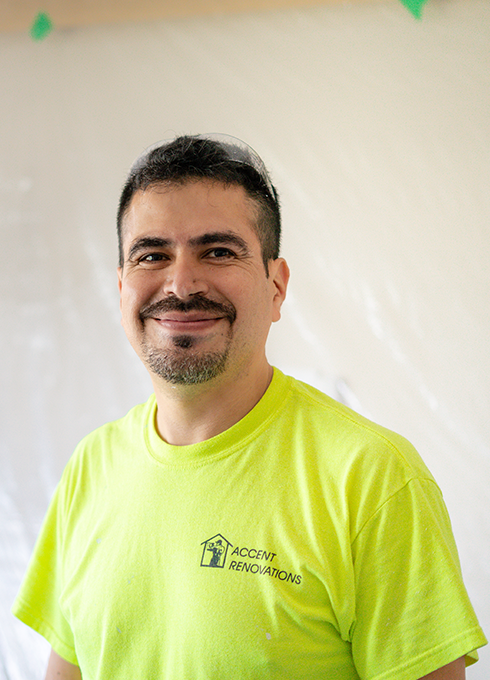 We would love to discover if our crew would be the right fit for your next renovation. We developed a unique business model in 2015 by creating Associated Contractors. We initiated this project to help the renovations industry and local trades by providing a shared office space. This enables independent contractors to expand their businesses by switching from home-based operations into a professional office where they can thrive by sharing resources, referrals and administration. Leading by example is one of our core values. We are committed to encouraging the Associated Contractors to achieve excellence within our industry. 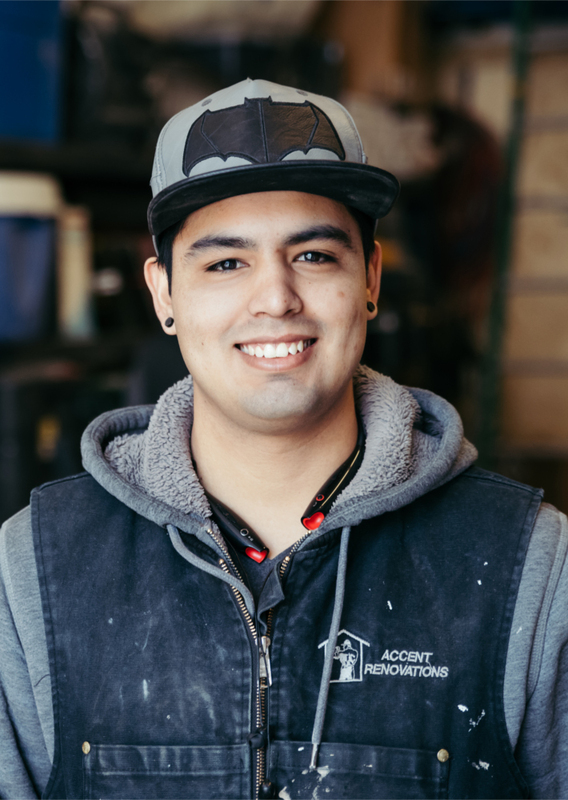 Jeff Sininger and his team are professional renovations contractors specialize in kitchen, bathroom, interior and exterior renovations for residential and commercial customers. 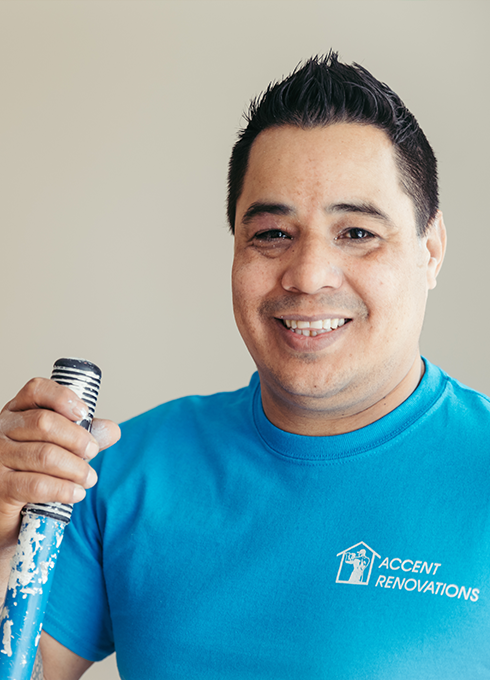 Accent Renovations strongly believes in giving back to our community and contributing on a global scale. 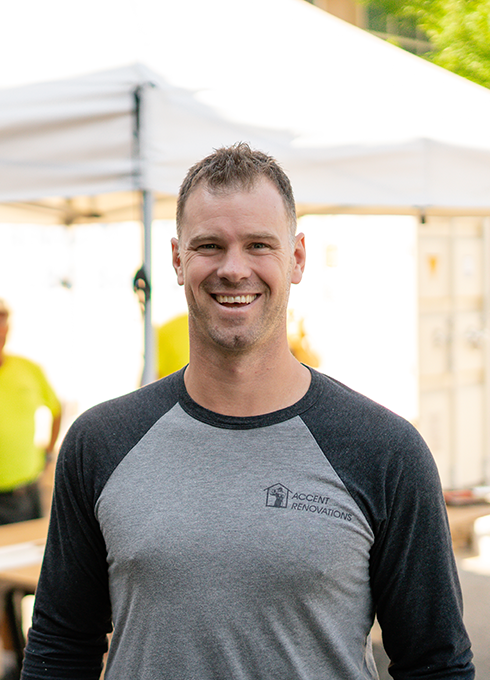 We support a variety of charitable and social contributions including regular donations to the Kelowna Food Bank, sponsoring the education of two children through Plan Canada and one child through World Vision. 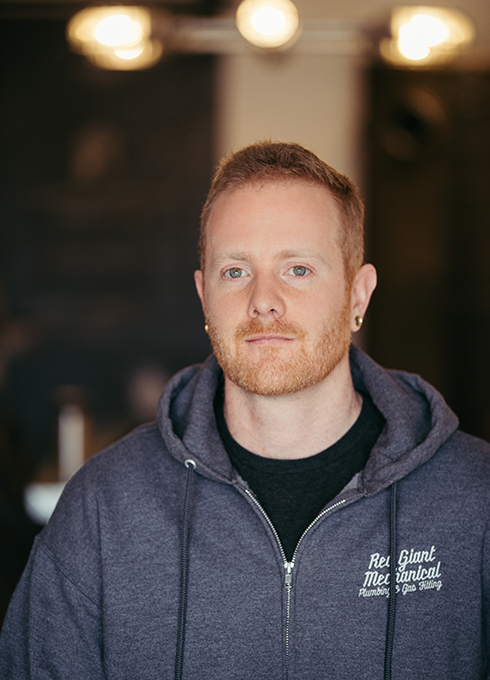 Jeff enthusiastically coaches for two youth soccer teams in Kelowna, the U6 Greyhounds team and the U8 Crusaders. Seasonal donations of warm blankets to a variety of local Senior’s homes, along with monthly donations to the Vancouver Children’s Hospital are some of the other groups we strongly support. Annual donations are given generously to Canucks Place, BC Children’s Hospital, the BC Cancer Agency and the MS Society of Canada. 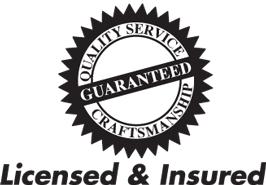 Accent Renovations has earned an A+ rating with the Better Business Bureau. We have been an active CHBA Okanagan member for 8 years and sit on the CHBC BC Renovators Council and on the BC Renovation Sector Council. 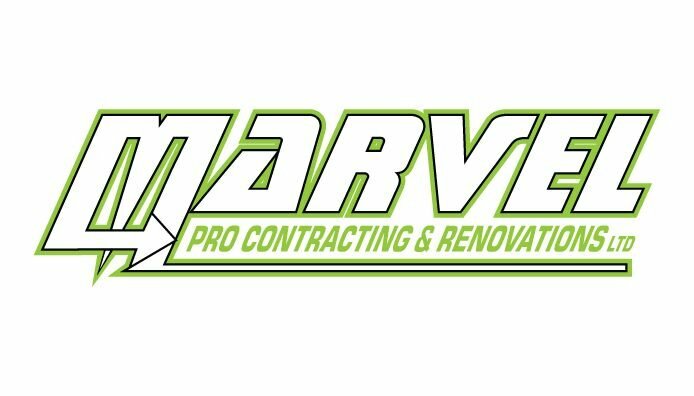 Presently, we are enrolled in the CHBA Renovators Continuing Education program and Breakthrough Academy Business Coaching for best practices and training. We offer career development within our organization by providing WorkSafe BC training, consistent health and safety meetings, Hazardous Materials training, safety standards of practice and negative air. Accent Renovations is involved with the Cascade Green Building Council, the BCCSA or BC Construction Safety Alliance, the Canadian Green Building Council and Renomark. Our team is participating on a panel to review CHBA BC Building Science for Renovation course for Spring 2018. Additionally, we are participating to create a roadmap for residential renovation issues. 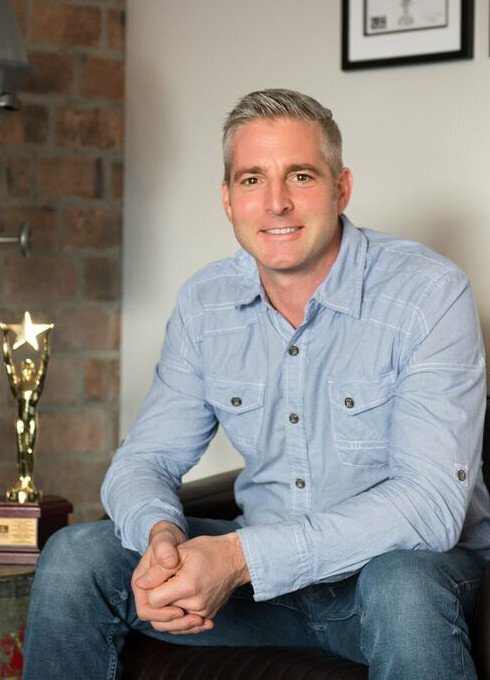 As industry leaders, we enjoy educating our clients with our blogs and social media to discuss innovations and renovation topics. Understanding what occurs during the renovation process and what to expect is vital for success. Actively staying on top of changing trends enables us to best serve our customers and the industry. 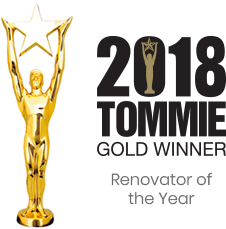 We are so proud to have won Renovator of the Year Award for 2018! 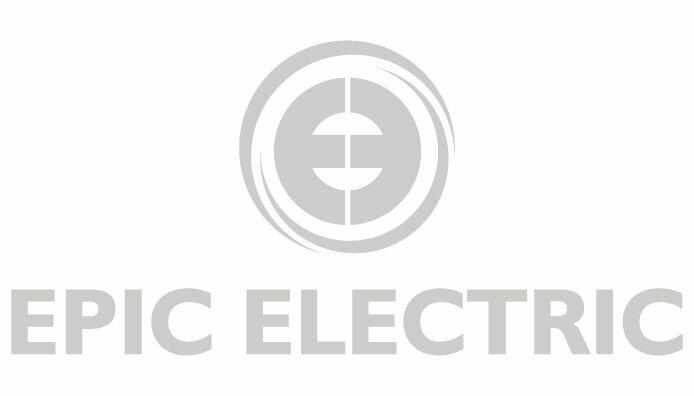 View our winning portfolio and read our testimonials to get to know us even better. Accent Renovations has been the proud recipient of various Silver Tommie Awards from 2011 – 2017. We are thrilled to be a Tommie Gold Award winner in 2014 and 2016. 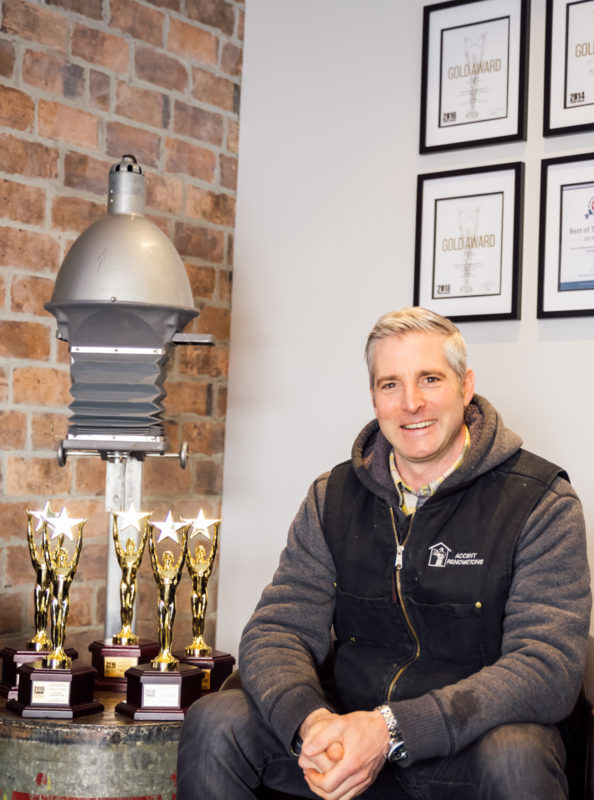 Most recently, Jeff and the team received the prestigious Renovator of the Year Award for 2018! View our winning portfolio and read our testimonials to get to know us even better.